Dirk Nowitzki and Dwyane Wade have played their final games of what should be first ballot Hall of Fame careers. From Germany, Nowitzki was the ninth overall pick of the 1999 Draft and there were many who thought that the Dallas Mavericks were making a mistake selecting a European with their First Round Pick. They needn’t have worried. Nowitzki would play 21 seasons for Dallas amassing 1,522 Games with another 145 in the Playoffs. Named an All Star 14 times, he would rattle off an impressive streak of 12 consecutive All-NBA Selections (2000-01 to 2001-12) with four of them being First Team. He would be named the MVP of the league in 2006-07 and took the Mavericks to a surprising NBA Championship in 2011. As of this writing, he is third all-time in Minutes Played, sixth in Points, twenty-seventh in Rebounds and eighth in Win Shares. Wade’s career was not as long but some would argue it held a higher profile. The Guard was the 5thOverall Pick of the loaded 2004 Class where he would join the Miami Heat and lead them to greatness. A 12 time All Star and eight time All-NBA Selection, Wade led Miami to their first NBA Championship in 2006 and was the architect of bringing future Hall of Famers LeBron James and Chris Bosh to Miami where they won it all in 2012 and 2013. With both Dallas and Miami missing the playoffs we have a very rare case of having two hoops legends finish their career on exactly the same day. Both Nowitzki and Wade are eligible for the Naismith Basketball Hall of Fame for the Class of 2023. 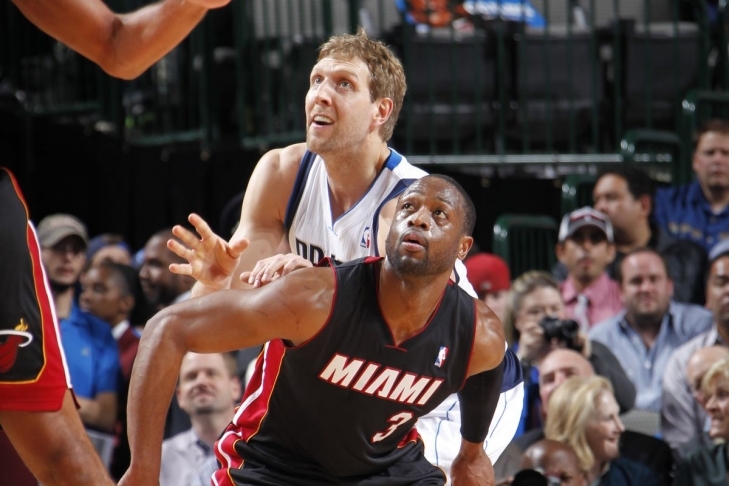 We here at Notinhalloffame.com would like to thank both Dirk Nowitzki and Dwayne Wade for the on the court memories and we wish them the best in their post playing career.